While the whole nation continues to talk about Donald Trump and his tactics of employing racism and bigotry to win the support of the American people, there is a candidate on the other side of the fence who does not need to go to such lengths to gain a large amount of support. We’re talking, of course, about Democratic front-runner Hillary Clinton. Ever since she announced her candidacy in April 2015, there has been a lot of talk about how the 2016 Presidential election could finally be her year, and the year the US elects its first female president. We all know to win an election, in a democracy, it’s all about the votes. But to get those votes you have to first lobby support. A recent AP-Gfk poll puts her at the top of a list of all Presidential candidates which states she is the most favorable out of all nominees. 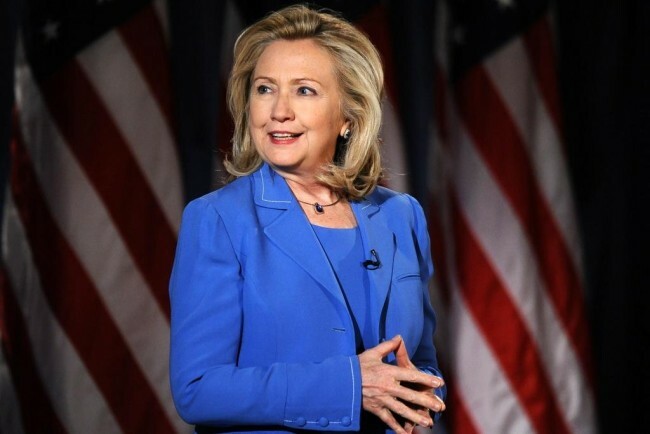 And although there has been a lot of media attention on other candidates for various reasons, the media spotlight on Hillary Clinton has been somewhat different to her run in 2008 against Barack Obama, and also very different from the candidates she is up against this time. It’s certainly not viral click-bait news, but already Hillary has managed to lock up the support of some powerful sections the American constituency. At the beginning of December, it was reported that she has so far won the endorsement of nearly 20 unions and labor alliances, representing more than 11 million workers including a very powerful Teachers union which some say is a huge blow to her Democratic rival Bernie Sanders. And while Hillary remains a popular choice among women as she stated in the second Democratic debate that more than half of her campaign donations come from individual American women, there is one particular group of people she is looking to target this time around: millennials. A Pew Research study from earlier this year reports that this year millennials have finally overtaken Baby Boomers in size in the US. This represents an enormous power shift in who candidates should be targeting. Along with the rise of millennials in population size means the increased number of millennial voters over that of the baby boomer generation. Millennials are known to be a generation marked by innovation, technology, social media, and the drive toward social change. We are also known for our obsession with celebrities, whether than be on a sports field, in a movie, on a TV show or on a stage. As she continues to work hard to gain the support of Americans all over the country, it is fascinating to see how she is positioning herself alongside celebrities. It was something that worked incredibly well for Barack Obama, who has made regular trips to Hollywood throughout his presidency to raise money and support from arguably the biggest influencers in the world today. That’s right, celebrities really are the biggest influencers because of their command of the entertainment industry, and their dominating presence in social media which has become incredible social currency in today’s world. We have no doubt Hillary can hold her own and then some on a debate stage and while being grilled for 11 hours in front of Congress members, but it is her celebrity following which is giving us a new perspective on her. 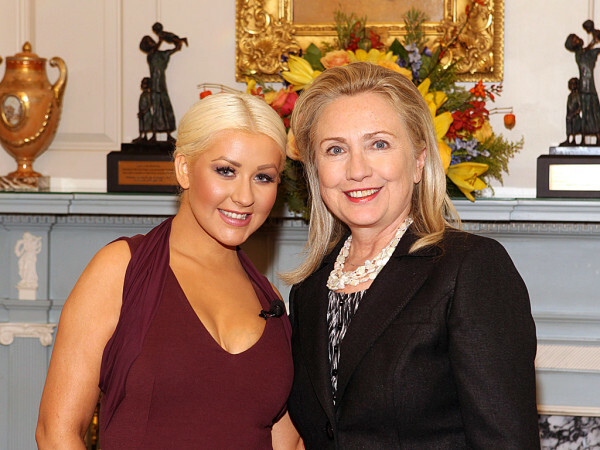 Hillary’s celebrity fundraising trail started with a star-studded party at singer Christina Aguilera’s home in early November, where she reportedly raised $1 million. A few months ago she sat down with ‘Girls’ actress and creator Lena Dunham to declare that she is unashamedly and absolutely a feminist. Smart move, getting the feminist vote by teaming up with a young woman who has been labeled the “voice of a generation” and is a poster child for modern feminism. 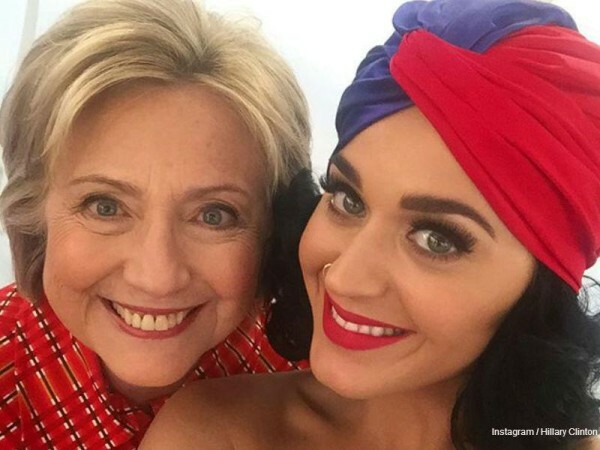 In October Hillary was joined by artist Katy Perry at a rally in Iowa, a key voting state for any future President, to declare her support for the Democratic nominee. Katy is certainly no ‘Dark Horse’ in terms of her popularity. Gracing the cover of Forbes’ magazine in June 2015, it was announced she has become the highest selling American pop export, making $135 million just from her most recent Prismatic tour around the world. That amount of money means hundreds of millions of fans around the world hanging on her every note, every word and every outlandish costume that she dons night after night. She has beaten a significant Beatles chart record, won numerous music industry awards, managed to put on the most-watched Super Bowl halftime show in NFL history, and this year was announced as the biggest selling digital artist ever by the RIAA. For an influential pop culture icon to declare her public support for Hillary Clinton means potentially a whole generation of fans around the country have just made up their minds about who they want to vote for come November 2016. But it’s not all serious campaigning, even with celebrities. Hillary has started to become a staple amongst the growing number of uber popular female comedians dominating mainstream entertainment. Back in 2008 she made an appearance on Saturday Night Live during a time when all eyes were on another female, Vice Presidential nominee Sarah Palin, but for entirely different reasons. This time Hillary is a clear frontrunner, and her guest role as a bartender named Val speaking to “Hillary” played by Kate McKinnon touched on the issues she has been criticized for (gay marriage, the Keystone Pipeline, and being known to change her mind on key topics) proving she is willing to be open and honest with the public more than ever. And the news that she will be appearing on an upcoming episode of the cult comedy series ‘Broad City’ proves that Hillary is not about to ignore her focus on women and girls any time soon. Of course, all this is just our opinion on how courting the celebrity vote is going to affect Hillary Clinton’s Presidential Campaign, we will let the numbers and votes speak for themselves come 2016. But in a time when the media is focused on someone else for making outrageous, hateful, and dangerous remarks about certain people groups, for us it is a welcome change to see someone focused on creating a more inclusive, united and diverse America. In the meantime, as Hillary continues her late night talk show tour (‘Late Show With Stephen Colbert‘ ‘The Tonight Show with Jimmy Fallon’ giving Americans perhaps a taste of what a Donald Trump-Hillary Clinton debate would look like, ‘Jimmy Kimmel Live’, and ‘Late Night With Seth Meyers’), we will be watching closely to see how she utilizes a powerful “lobby group” to her advantage.